These Cindus red colored gift bags with twisted upright handles can be used to package presents or for holding items. They are wonderful for Christmas, Valentines, birthdays, and other special occasions. 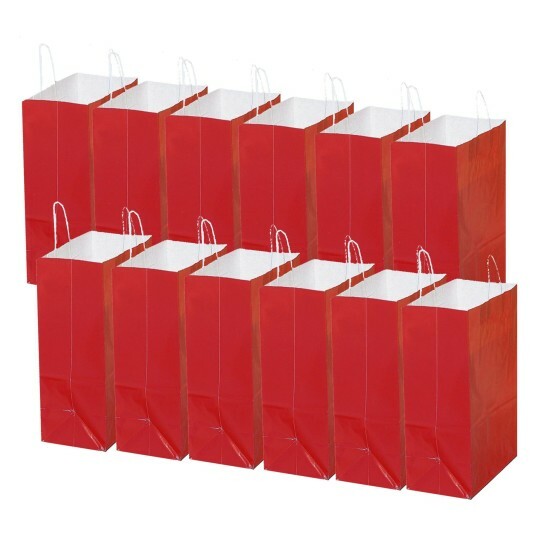 Each bag measures 13”W x 15-3/4”H x 6”D and is made of white paper with a laminated high gloss finish on the outside giving them superior strength.